Tongue ulcers cause a sore tongue, and are also called canker sores on the tongue in some countries. It's important to know that canker sores are NOT infectious. There's absolutely no need to be concerned about passing them on to other people, or catching them from a dirty cup or by kissing. You can't "catch" canker sores like you can catch a cold from someone else. However, they can be quite painful, and give you a sore tongue. like tiny craters on the tongue, and sometimes around the lining of the mouth. About 20% of people have tongue ulcers or a sore tongue at one time or another. Canker sores are EXACTLY the same thing as "aphthous stomatitis" or "aphthous ulcers"; Those are just fancy medical terms! The tendency to get a sore tongue or tongue ulcers seems to run in families. Some people are just more prone to getting these ulcers than others. The type of ulcer depends on the size. Minor ulcers on the tongue have a diameter of 1mm to 10mm. These are the most common ulcers, and usually last between seven to ten days. Of all mouth ulcers, around 80% can be classified as "minor". Although the ulcers may be small in size, you can get anything from one to twenty of them, which is very uncomfortable. Major ulcers on the tongue have a diameter of more than 10mm, and they take a lot longer to heal up, sometimes lasting up to 30 days. They can leave a small scar afterwards. Thankfully, only 10% of all ulcers are classified as major. Also, you only tend to get one at a time! Herpetiform ulcers make up the remaining 10%, and look like a scattering of multiple small individual ulcers of less than 2 millimeters in size. They also usually heal up within about seven to ten days. What are the symptoms of tongue ulcers? Ulcers on the tongue / canker sores on the tongue are usually found on the top and sides of the tongue. The ulcers begin as tiny red swellings (like tiny blisters) that usually burst within a day or two. The resulting sores are covered by a thin layer of white or yellow tissue, and usually have a red halo around them. On average, the ulcers heal within two weeks without treatment, and without scarring. It's unusual to get a high temperature or a fever, and tongue ulcers do not generally have anything to do with any other medical condition. Most people experience their first canker sores on the tongue between the ages of 10 and 20. But it is possible to get them at any age. How often you get canker sores varies considerably. Some people only get them once or twice a year, while others may have an almost non-stop run of canker sores. As soon as one area heals up, another area breaks out. What are the causes of a sore tongue? There doesn't seem to be any connection between canker sores and a virus or bacteria. However, it is possible that some folk have a type of allergic reaction to a particular bacteria in their mouth. The sores may also be an allergic reaction to certain foods. Some research suggests that canker sores on the tongue may be the result of the body's own defenses attacking and destroying the normal cells of the tongue surface. This is medically called an auto-immune reaction. Recent research has shown a link between tongue ulcers and a component of just about every toothpaste on the market. It's called Sodium Lauryl Sulfate, and it's added to toothpastes to make them foam up a bit. But in some people it can trigger ulcers or canker sores. The BEST toothpaste that does NOT contain Sodium Lauryl Sulfate is from TheraBreath. 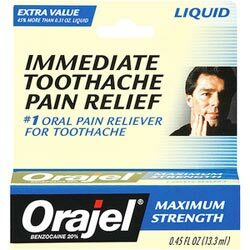 I recommend the standard TheraBreath toothpaste, available from Amazon. BUT you have to use the TheraBreath mouthwash too, after brushing, for the best results. I like the TheraBreath products. Have a look at the TheraBreath Oral Rinse, available from Amazon. The next step I recommend is to get a high-quality aloe vera gel. Scientific research shows that this is an effective treatment to reduce inflammation and combat any bacteria that might occur. You can apply the gel directly with your fingertip to the ulcer area. Read more about this, and order directly online HERE. Some studies in the United Kingdom show that about 20% of patients get canker sores due to nutrition problems. The main problem areas usually include iron, folic acid and vitamin B 12. Vitamin C can also play a role, as it can affect how iron is absorbed. A very small number of patients may get canker sores as part of general problems with digestion, for example difficulty digesting certain types of food. In people who are prone to getting tongue ulcers or a sore tongue, stress can bring on an attack. They may tend to get ulcers on the tongue anyway, but a particularly stressful time at work or in the home can trigger more frequent and more extensive ulcer formation. There may be a hormonal factor, too, because many women only get canker sores on the tongue during certain phases of their monthly cycles. Also, a lot of women who regularly get tongue ulcers seem to have a big improvement when they are pregnant. Hormone therapy has been used to treat some women, successfully. Avoid abrasive foods such as potato chips that can aggravate the sores. Be careful when brushing your teeth, to go slowly and gently around the teeth and gums. Avoid hot, spicy foods, and also anything acidic like citrus fruits. Try a different brand of toothpaste, especially one without sodium lauryl sulfate. What treatments are there for a sore tongue? There are NO treatments to make ulcers on the tongue heal up more quickly. They will heal up in their own time. BUT there are some things we can do to reduce the discomfort. If the canker sores are caused by a fungal infection, an anti-fungal medication can be used, like Nystatin. There are anesthetics such as Oragel, which will help to numb the area for a while. They are available in drug stores without a prescription. The ointment should be applied a few times daily directly to the ulcers. Anti-inflammatory gels containing steroids may also be applied directly to the tongue ulcers to reduce the inflammation. You will need a prescription for this. The main ingredient is usually fluocinonide (Lidex) or triamcinolone. Antibiotics will not help the ulcers, because they are not caused by bacteria. BUT it is possible to get an infection of the ulcers themselves. In this case, antibiotic gels (for example, tetracycline (Achromycin]) may also be recommended by your doctor. 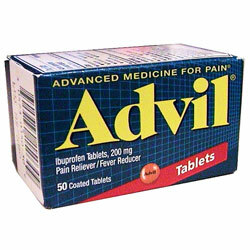 Pain medications such as Advil or Tylenol may help if the sores are intolerable. Although not painkillers in the normal sense, zinc lozenges, or vitamin B and C tablets seem to be helpful for some folk. Here's a link to the British National Health Service page on tongue ulcers.